What becomes of a country that cannot protect its young? It’s too early to say if the grassroots social movement initiated by students who survived the gun massacre at Stoneman Douglas High School in Parkland, Florida will be successful in nudging America’s gun laws in the direction of rationality and evidence. After killing 17 people with an AR-15 style semi-automatic weapon, and injuring 17 more, 19 year-old former student Nikolas Cruz left the school premises, blending in with the crowd and remaining free for an hour before arrested. 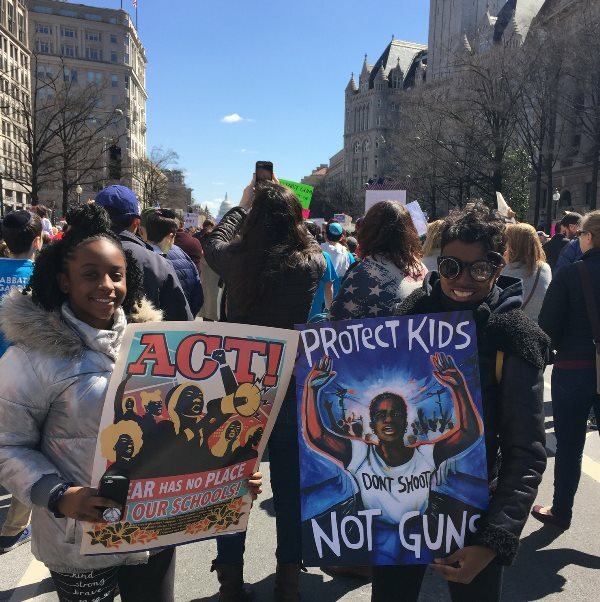 On March 24, students and gun control advocates took to the streets of Washington DC in a “March for Our Lives”. They’re trying to start a movement. You can join them. “To the leaders, skeptics and cynics who told us to sit down and stay silent, wait your turn! Welcome to the revolution!” said student Cameron Kasky. In the thick of it, as usual, my friend Professor Lawrence Gostin from Georgetown University Law School, who leads the O’Neill Institute for National and Global Health Law. You can read about the march on his twitter account here. He’s right. This is true of gun control, tobacco control, and much else in public health. Is there constitutional space for rational, evidence-based gun control laws in the United States? It’s sometimes assumed that the US Second Amendment, which states that “the right of the people to keep and bear Arms, shall not be infringed”, leaves little room for rational, evidence-based gun control policies and laws. This is not so, argues Professor Gostin in a recent paper published in the Journal of the American Medical Association. For additional resources, click here, here, and here. banning open carry of firearms (an emerging issue for college campuses, where academics receive advice about what to do in “active shooter” situations). What makes bottom-up change happen? This is a neglected but vitally important questions for public health lawyers. Will the anger and conviction that fuels the “March for our lives” movement endure? Will it prove capable of raising the resources that will be necessary to make a compelling case for change to the American people? Public health advocates often focus on content: the technical content of the policies they advocate, the evidence, and the rational case for change. And then nothing happens. More than ever, advocates need to better understand the factors that catalyse change, the factors that make social movements successful, and enduring. Jeremy Shiffman has written about why some global health issues attract attention while others languish: his scholarship is helpful in also analysing national public health issues. For social constructionists like Shiffman, global health problems like HIV, polio, or non-communicable diseases do not have any inherent priority or significance. The attention an issue receives, while not unrelated to epidemiological facts, is “always mediated by social interpretations”. From a social constructionist perspective, the “core activity” of global health advocates is ideational: health advocates must advance truth claims about the problem and its solutions that resonate with the values and shared interpretations of political leaders and those who control resources. On this view, global health (and the same could be said of national public health priorities) is a competitive – and brutal – process of “portraying and communicating severity, neglect, tractability and benefit in ways that appeal to political leaders’ social values and concepts of reality”. Yet increasingly, reality itself is no longer a shared experience. Gun control advocates and gun enthusiasts might as well live in different universes. Their sources of information are completely unrelated; the things they find persuasive utterly different. The triple cocktail of extreme individualism, neoliberalism, and populism have created a social landscape in which there is less and less shared ground when it comes to values and visions for a better life. Speaking as a non-American, it seems to me that the scale of the challenge, for gun control advocates, is reflected in the reflexive tendency of the pro-gun lobby to castigate the very mention of rational gun laws, following [America’s latest semi-automatic gunfire massacre: insert details here] as exploitative – as politicizing a tragedy. A couple of examples. Jesse Hughes, whose band, Eagles of Death Metal, was performing at the Bataclan theatre in Paris on 13 November 2015 when terrorists stormed in and took hostages, eventually killing 89, went on an on-line rant, calling the Stoneman High School students “disgusting vile abusers of the dead”. 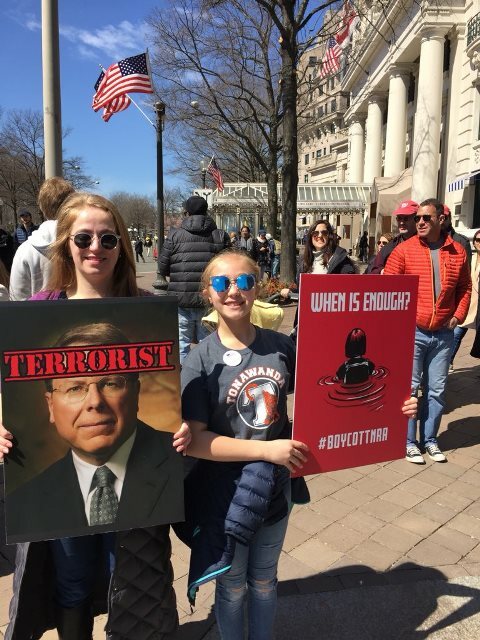 All because some students who survived a mass murder at their school dared express their opinion that government ought to introduce gun control laws to help make such rampages less frequent. Like the tragedy of the massacre at Sandy Hook Elementary School, the gun massacre at Stoneman Douglas High School reflects the failure of policy, the failure of politics and politicians, and ultimately, the potential failure of a society. What becomes of a country that cannot – or will not – protect its young? Authoritarian regimes, that fail the protect basic freedoms, or do so only partially, start to look a whole lot better. That’s bad news for freedom, and bad news for America. Professor Larry Gostin will be speaking at Sydney Law School on 19 July, as part of an evening event titled: ‘Public health and health leadership in the USA: what can Australia learn’. Sydneyhealthlaw.com will advertise this event in due course. Professor Gostin will be teaching the unit of study, Global Health Law on 17-20 July; for more information on this unit, click here. For more information on Sydney Law School’s Master of Health Law, click here and here. A “pro-smoking blogger for the libertarian right” accuses me of “dancing on Christopher Hitchens’ grave”. Christopher Snowdon is a Research Fellow for the UK-based Institute of Economic Affairs, a think tank that receives tobacco funding. He is an opponent of plain tobacco packaging, keeper of the pure flame of libertarianism etc. 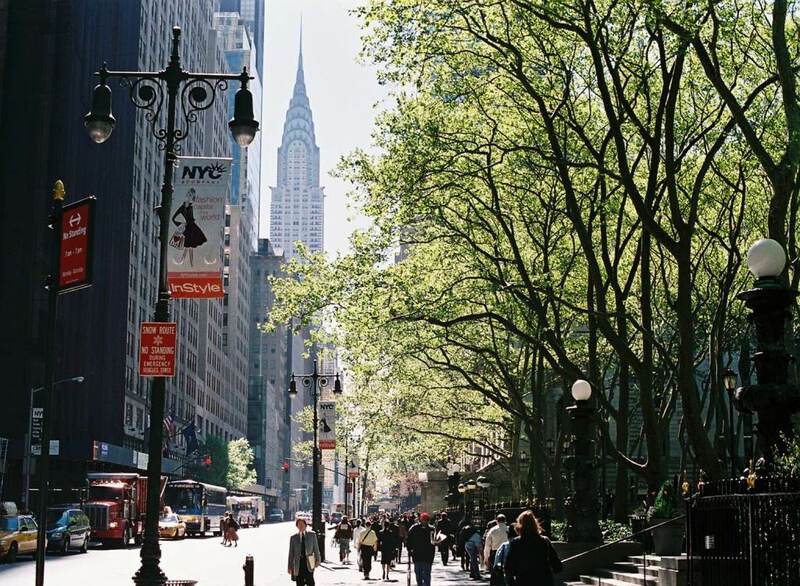 My sin – contained in a paper forming part of a symposium on public health regulation and the “nanny state”, was to reflect on a self-confessed “crime spree” Hitchens took in New York City in late 2003. 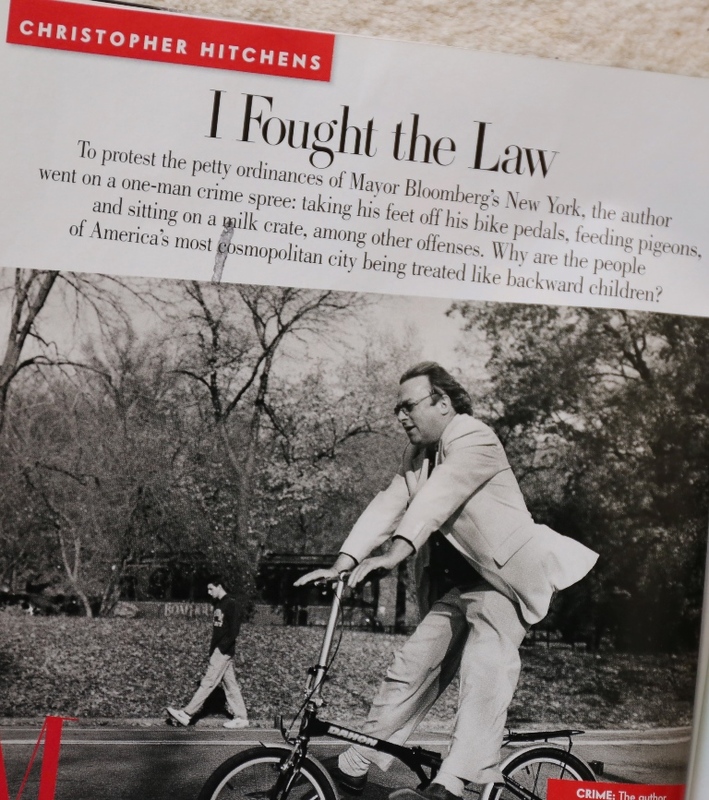 During the course of an autumn day, Hitchens broke as many of the city’s “petty ordinances” as he could, particularly its smoke-free laws. At the time, Michael Bloomberg was in the second year of his first, 4-year term as NYC Mayor. He went on to serve 3 full terms, introducing tobacco control laws that saw the adult smoking rate fall by 28% between 2002 and 2012, and the youth smoking rate fall by 52% between 2001-2011 . Which is a terrible result, if you’re a tobacco company, but a magnificent result for New Yorkers – with changed life trajectories and longer, healthier lives for hundreds of thousands of people. You can read about Michael Bloomberg’s public health legacy here. 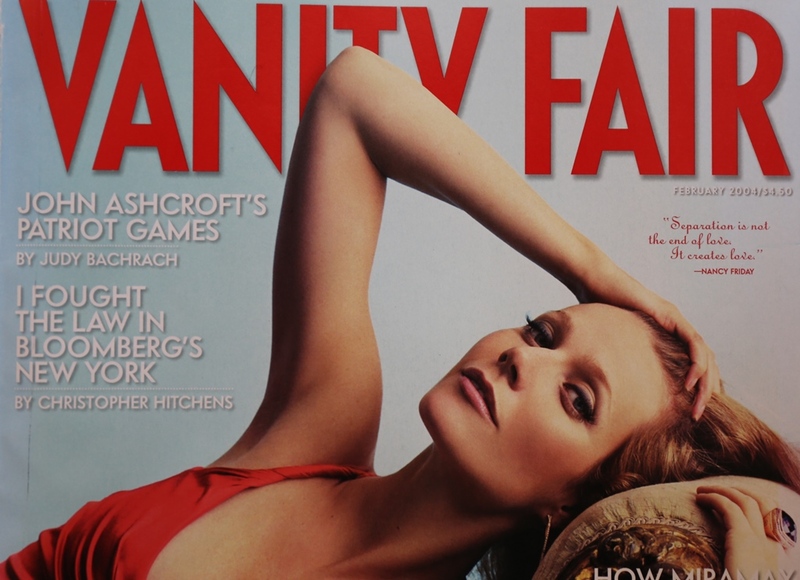 The editor of Vanity Fair, Graydon Carter, who at the time was being serially fined by the NYC Health Department for flouting its smoke-free laws and smoking in his office, published the whole account. Hitchens died less than 18 months later. Like his hero Hitchens, Snowdon believes that smoke-free laws are anti-libertarian. The mind boggles at this point, given that globally, one in ten people who die from tobacco are non-smokers who are unintentionally harmed (poisoned) by smokers…. The record shows that Christopher Hitchens castigated those who promoted effective tobacco control, yet spoke frankly and publicly about his own cancer, acknowledging that it was probably caused by his smoking and drinking. Hitchens made his choices, and talked about them freely. He made his private life a public matter. So we have permission, I think, to talk about Hitchens – who I suspect would have approved of being the topic of conversation. “I’ve come by this particular tumor honestly”, he told Anderson Cooper on CNN in August 2010. “If you smoke, which I did for many years very heavily with occasional interruption, and if you use alcohol, you make yourself a candidate for it in your sixties.” “I might as well say to anyone who might be watching – if you can hold it down on the smokes and the cocktails you may be well advised to do so”. Cooper responded “That’s probably the subtlest anti-smoking message I’ve ever heard”. “The other ones tend to be more strident”, Hitchens replied, “and for that reason, easy to ignore”. Snowdon seems to think that the point of discussing Hitchens is to trip him up on his words, seek to make an object lesson out of him, or worse, to gloat. But there are other reasons why Hitchens’ account of his illness is worth reflecting on. Certainly, it was a compelling story. Statistics are easy to brush off: just ask a smoker. But stories are a little harder. Here comes this libertarian prophet – as sure as any libertarian ever was about the infantilising effect of public health laws – suddenly forced to come face to face with his own premature (and probably preventable) death. Did he have conflicting feelings, second thoughts? It’s not an unfair question. Through his story, we catch a glimpse of the public interest that public health laws and policies are intended to protect. The public interest in tobacco and alcohol control laws does not exist for the sake of some abstracted, disembodied “public”, but ultimately for the sake of all those individuals who might otherwise die prematurely, or just as frequently, as Simon Chapman writes, live long in distress and isolation due to the disintegrating impacts of their illness. Bloomberg’s tobacco control laws were intended to help prevent the kind of death Hitchens died. To say that is not to gloat. Consequences tend to be trivialised or absent when libertarians set out their plans for how the world ought to be. The narrative we tend to get is the one written by the be-suited Hitchens in 2003, flying through Central Park with his feet off the bicycle pedals, witty, cancer-free, not the man 7 years later, who writes “The chest hair that was once the toast of two continents hasn’t yet wilted, but so much of it was shaved off for various hospital incisions that it’s a rather patchy affair. I feel upsettingly de-natured. If Penélope Cruz were one of my nurses, I wouldn’t even notice”. How should public health advocates talk about consequences? In the United States, gun enthusiasts have become so highly proficient at ignoring consequences that anyone who dares link the most recent gun-related massacre [insert dates & details] with that shocking, leftist, evil thing called “gun control” – is howled down for seeking to “politicise a personal tragedy“. Plenty of compelling stories, it seems, but never a teachable moment. But for the rest of us, prevention matters because people matter. Their needless suffering or death is relevant to how we evaluate the wisdom of government actions, laws and policies. The nanny state conspiracy theorists overstate their case. Hitchens’ freedom to make choices about smoking, drinking, diet and lifestyle were his for the taking. No one stood in his way. Hitchens had no Damascus conversion over tobacco, or anything else for that matter, but his public expressions of regret were no less powerful for their subtlety.